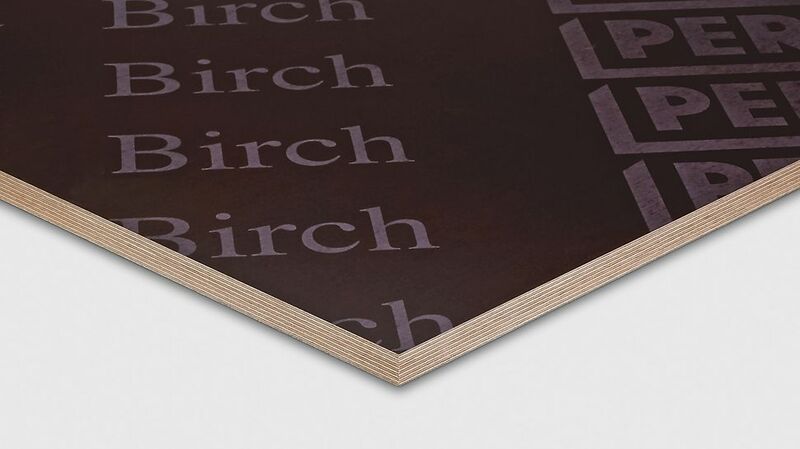 PERI Birch is used in almost all areas for walls and slabs. The plywood panel is available in thicknesses of only 6.5 mm to up to 40 mm. PERI Birch is used for concrete surfaces with higher requirements. Crosswise bonded birch veneers with filmfaced coating of phenolic resin with 120 g/m² on both sides as well as BFU 100 bonding are characteristic for this panel.